Dynamic Websites… The Fascinating Approach for Any Business!! With the increase in technology, Internet which is one of the fastest emerging means of communication offers a great means of representing something. Dynamic websites is one of the best ways of presenting your business online. These are the websites that changes dynamically. It offers a sense of automation and an ease to the visitors of the website. Dynamic websites are more functional and easier to update. It allows the owner to simply update or add some information to the site. It gathers more traffic to the site through providing all the updates on time. However, hosting dynamic website costs little more than static website but then it has its own advantages to the owner and its business. Any website makes a strong impact on the viewer’s mind only through its design and styling. Bringing in the dynamic approach is the great way to be in limelight and attracting more audience. SD Web Solutions, One of the leading Dynamic web design company provides the world class Dynamic websites. We follow professional standards of designing such sites in order to meet business goals. Dynamic website development is also the best method of selling your products and services to the mass audience. 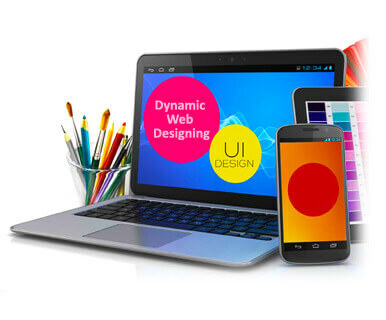 At SD Web Solutions, we provide the best Dynamic Website Designs.